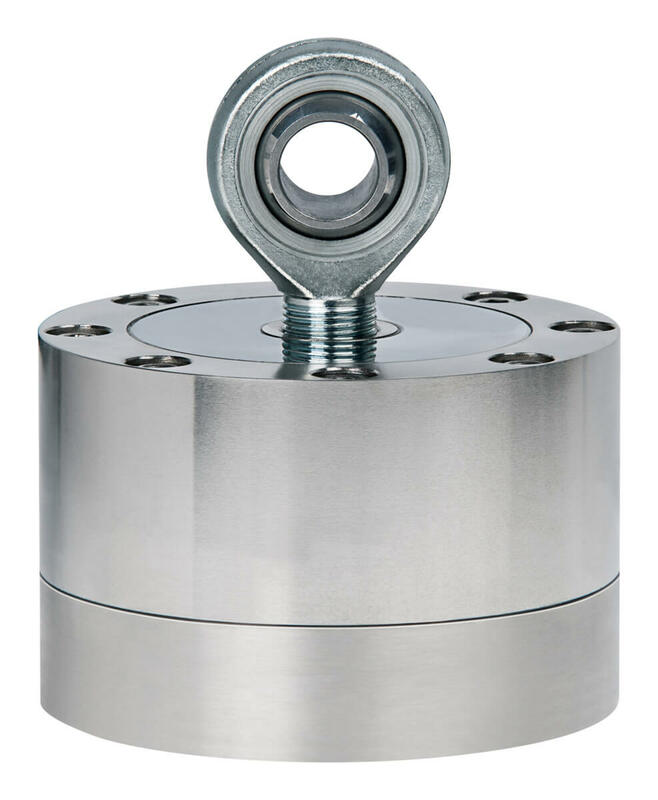 Product information "Tension and Compression load cell V60S"
The Tension and Compression Load Cell V60S is a low profile, high performance ring torsion type load cell and one of the newer products of weighing technology. 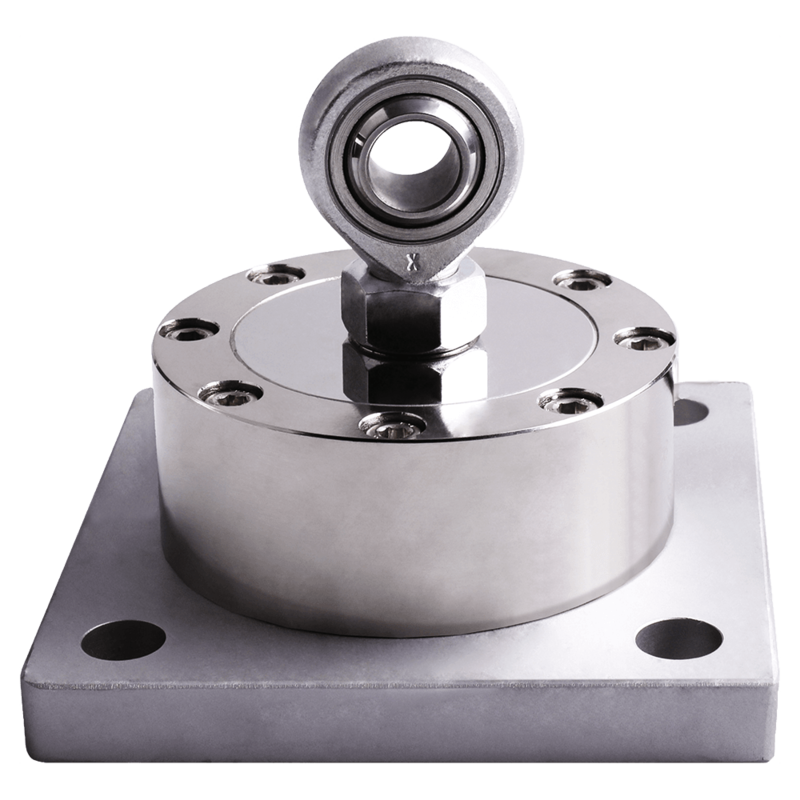 The load cell has a symmetrical structure and very compact. 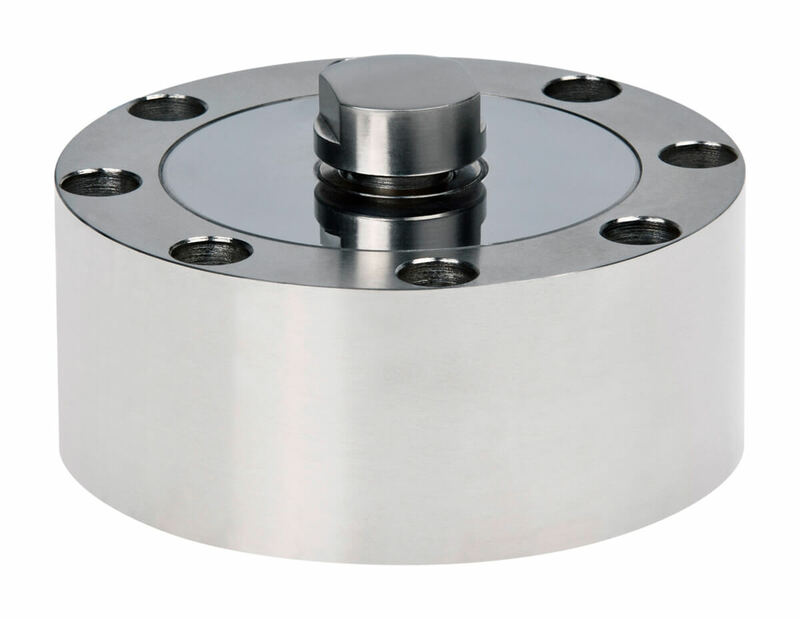 The force is applied through a load application button or an application specific adapter part on a consistent internal thread in the center of the load cell. Through this center of force, the load cell is largely insensitive to eccentric loading. It is characterized with high accuracy and linearity. 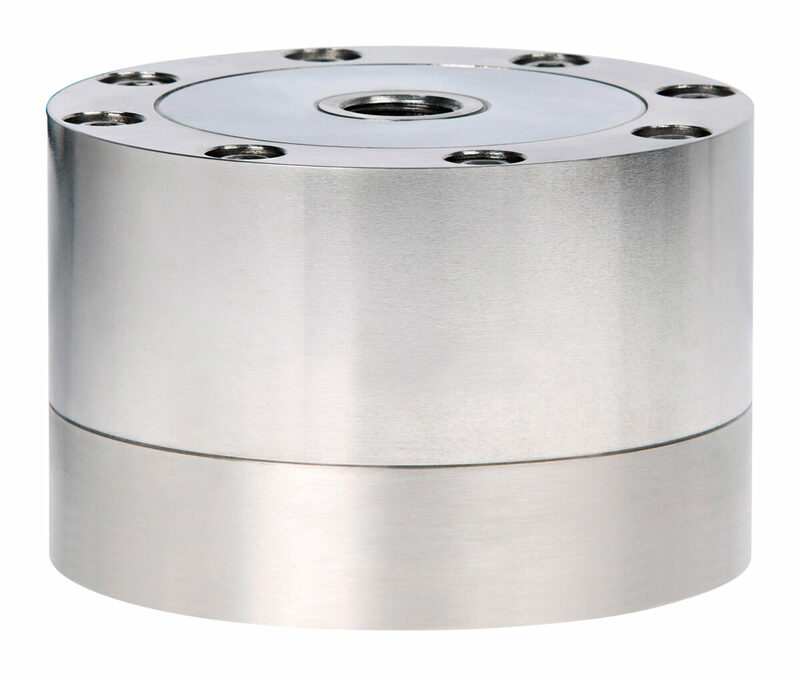 The load cell also provides for long-term use in harsh industrial environments accurate and reproducible results. The V60S load cells are laser-welded and meets the requirements of protection class IP66. The hermetically sealed enclosure allows operation even under harsh operating conditions. weighbridge and lorry weighing scales, car weighing scales, tank and silo weighing scales, axle weighing scales. Measurement of press-in and insertion forces, spring forces, cutting forces, force measurement and control during assembly. Measurement of pressure on drilling machines. 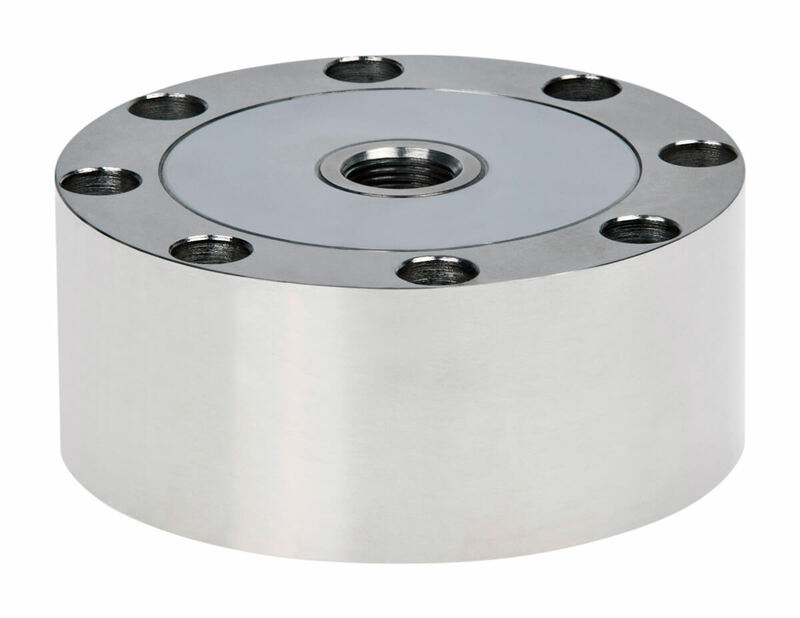 The load cell should be mounted on a flat surface so that the bending plate inside the load cell can freely bend down.The center axis of the tension/compression load cells incorporates a continuous thread through which the measurement force is applied free from lateral or torsion force either using a load application button or an applicationspecific adapter part. 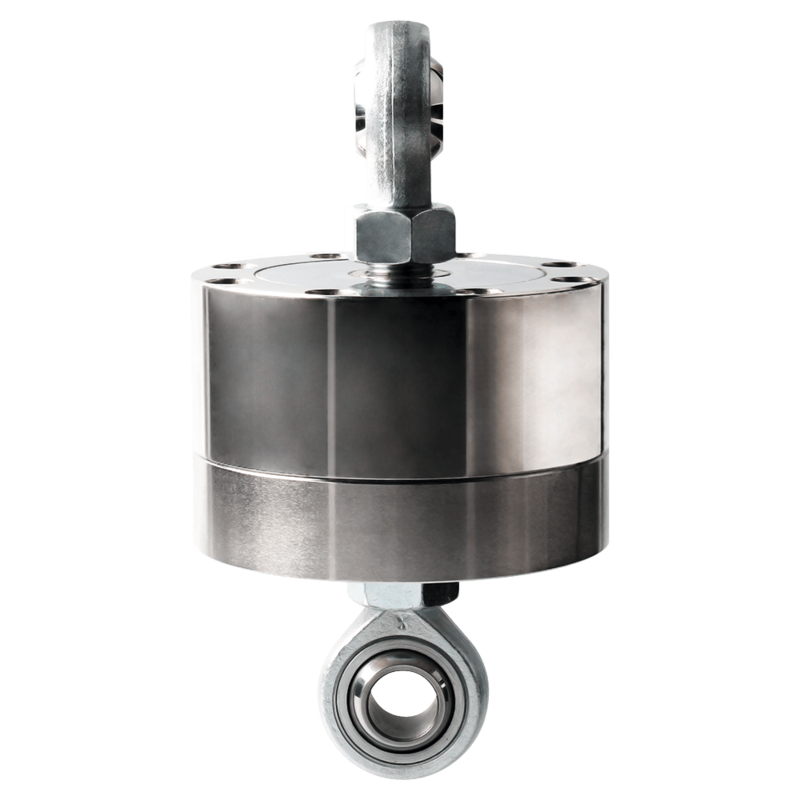 Related links to "Tension and Compression load cell V60S"
Our comment on "Tension and Compression load cell V60S"